The Gandel Atrium makes any event a memorable occasion. With soaring ceilings and expansive windows overlooking Lake Burley Griffin, this stunning architectural space is perfect for events large and small. 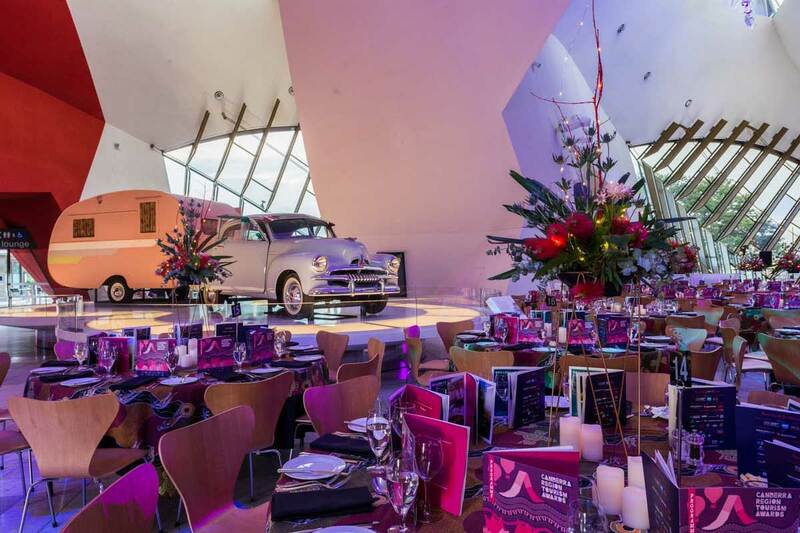 Your guests will be surrounded by objects from the Museum's collection, including a Muttaburrasaurus skeleton and an iconic 1955 FJ Holden.